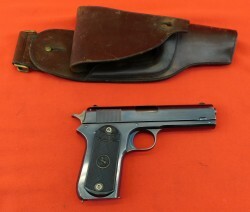 SN 431959 is a first model Field -King 22 LR pistol. This is the budget variation of the Supermatic. 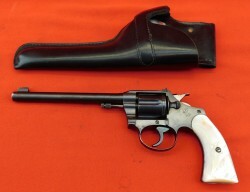 6 3/4 barrel, Davis adjustable sight. 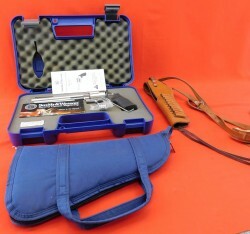 Bright excellent bore with thumb rest target grips. 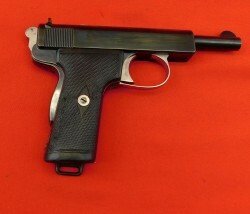 SN 4184 is a Model 1. 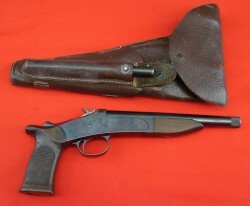 This was the 1st production Handy Gun within the approximate serial range to 4984. SN6277, bright, excellent bore. 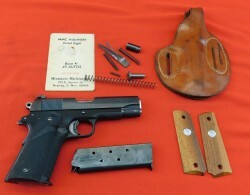 This is a Bayard Model depose pistol in 22 short. 10" barrel. 20" overall. 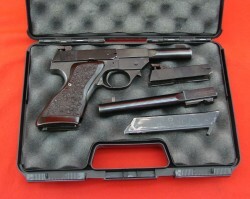 A high quality target or free pistol. 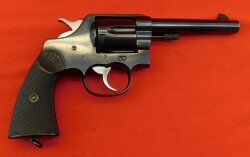 SN 145-34738 is a stainless Old Army Ruger built in 1982 and in unfired condition. 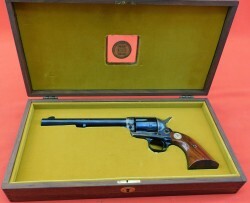 SN CLW 016178 is a Colt light weight Commander in 45 ACP. 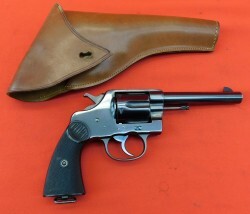 4 1/4" barrel (restricted).